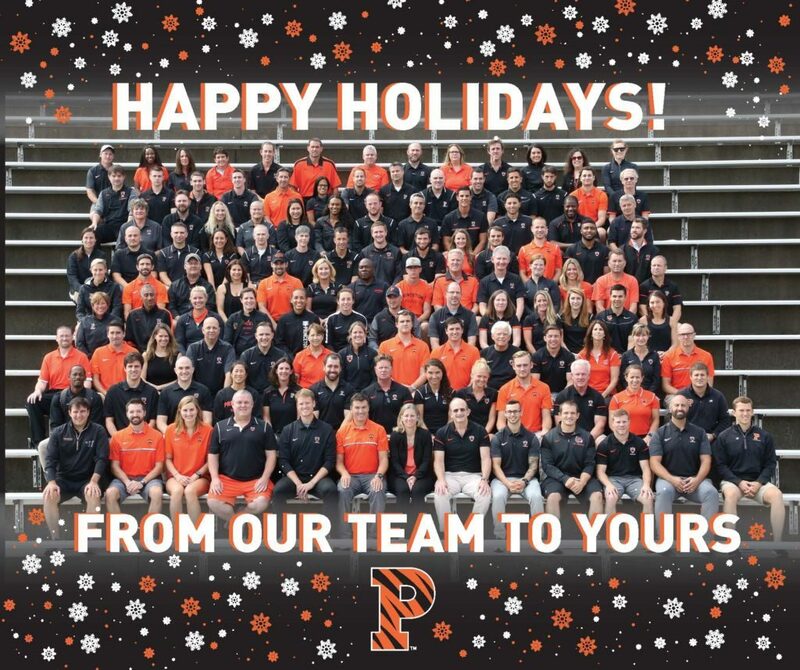 Happy holidays from Princeton Athletics and the Princeton Varsity Club! Thank you for your incredible support during 2017, a year in which the Tigers captured double-digit league championships, exceeded 200 PVC Lifetime Members, celebrated the 20th edition of the PVC Awards Banquet, and saw facility transformations (i.e., Jadwin Gym lobby renovation, bubble, etc.) that will continue to elevate Princeton Athletics. We are so fortunate to have you all as part of our Princeton Athletics family. All gifts in support of Princeton Athletics, and the Princeton Varsity Club, are critical to providing our student-athletes and coaches with the resources needed to continue to reach our two main goals of Education through Athletics and competitive excellence. Your support allows our student-athletes to achieve, to serve and to lead both on and off the fields of play. Tiger Up!